The same holds true with many things in life actually. The most successful entrepreneurs and CEOs simply believe in themselves beyond the bounds of practical expectations. The most successful freelancers take the leap and hope. 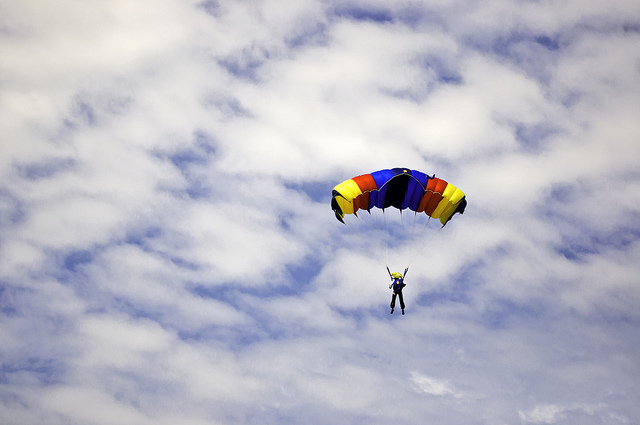 You’ve got to be comfortable knowing your parachute will eventually open after a little free fall. Because there will be a free-fall period (and often more than one). Many parents are uncomfortable in the free-fall zone. Let’s face it. Kids are wild cards. Thus parents limit where their family goes, what food they put on the table, conversations they have, and more all because they believe in themselves (and maybe their kids) a little less than they should. 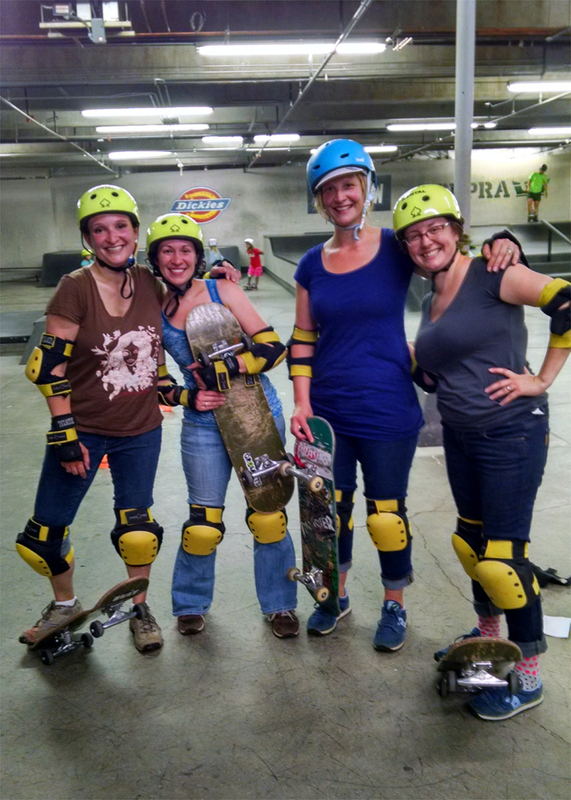 This is me and some mom friends skateboarding for the first time, just last year. We didn’t know we could do that. And guess what? We rocked it. Start that venture. Take that trip. Write that book. Take the leap. I’d place my bet on trying every day of the week. I’d place my bet on us.